Blogging in the space where the bike and tech meet, I know how bikes like the Denny capture people’s imagination and attract the urban techster. It’s great to see locals getting press and in a King5 Interview, Teague’s designer is interviewed and the manager of Gregg’s Greenlake talks about retail price points. Teague’s offices are around the block from Davidson’s shop in downtown Seattle where many of Bike Hugger’s bikes are made. My friend Jeremiah mentioned the Denny on Twitter and lit up the phone lines. After Patrick questioned the authenticity of the Oregon Manifest and explained the utility bike market, the questions he’s asking now is what version of the concept is Fuji going to bring to market? Also, what will it cost? Clearly, we need fresh ideas about what a bike is, what a bike can be. 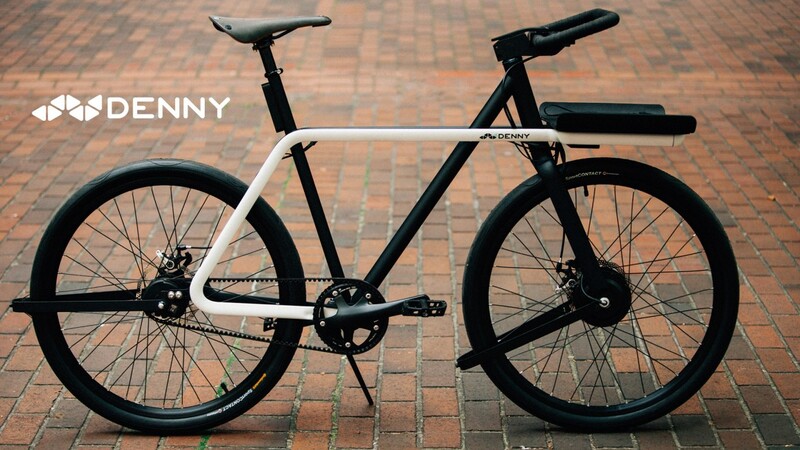 Guess we’ll check back in a year or so… Until the Denny arrives, for urban mobility see bikes like the Cylo that are in pre-production, Vanmoof, Tern, or any number of Kickstarters like the Helios and Vanhawks Valour. Patrick’s and my industry wonk opinions questioned the Manifest, but that doesn’t mean we don’t share the enthusiasm. We just have some insight into how the industry works and expect a much hyped bike to do it right. Finally Seattle is best known for Starbucks, Boeing, and Microsoft, there’s also a vibrant design scene here and in the area, distributors like SBS (Redline, Raleigh), and REI’s Novara. Bikes that’ll ship to the masses are being designed for 2017 right now, just a hour commute away from Hugga HQ.